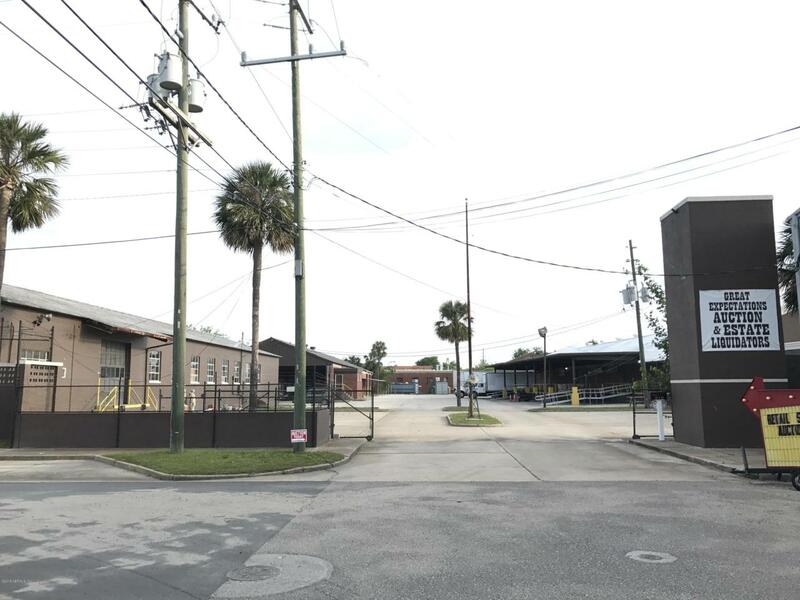 Commercial Complex w/ 3 buildings for a total of over 35,092 sqft on a 2.18 acre fully fenced lot. Originally a train depot w/ doors across the back of the building that open up to the abandoned train tracks that run along the rear of the property. The first building is 21,812 sqft at dock level, with over 16,500 sqft air conditioned. There is a large loading dock area w/4 Bays for semis and a ramp. 3 Phase Electric. The second building is 5600 sqft and is at Dock height with 2 rollup garage doors, an air conditioned office w/ bathroom, and is currently operated as an Antique Store. The third building is 7680 sqft and is at grade level and has 2 rollup doors, and one industrial barn door, with an outdoor overhang for outdoor storage. Tons of upgrades and move in ready.We have a Clear Phase 1 Available upon request . The survey is in the attached documents. The buildings are currently owner occupied but there are multiple inquiries of parties interested in leasing should the buyer desire to have tenants. At this time the current owner is not interested in leasing the property.